In today’s highly competitive environment your business cannot afford not to maximize the benefits found online. Website analytics is an effective way to measure how well your business is leveraging its online presence to grow its customer base. Using website analytics, you are also able to gain a better understanding of your customers’ behaviour online. Today’s consumer looks online before making any purchasing decisions. In other words, most consumers research a company online, looking at reviews, company websites and competitor sites, before deciding to buy a product or service. By using website analytics, you are able to find out where your customers are coming from. For example, are they finding you through Google search, advertising, or are they finding you through recommendations on social media networks? This information can help you fine-tune your digital marketing strategy, driving more traffic to your site. You can also use the information from website analytics to make sure that you are get the maximum benefit from your advertising budget. If you are attracting many visitors through organic search, but these visits are not converting to sales, you may be losing potential customers to your competitors. Analysing which keywords brought these visitors to your site can help you get an understanding of what they are looking for and why they are not finding it on your site. Remember, chances are they will try to find it somewhere else. In today’s highly competitive climate, consumers are inundated with companies trying to sell their products and services. Thanks to the Internet, you are few short clicks away from your next customer, but unfortunately, so are your competitors. You can’t afford to lose any potential customers due to poor site design or ineffective SEO. Using website analytics you are able to get an understanding of your customers’ browsing behaviour and use this information to attract traffic to your site and ultimately generate sales leads. Website analytics can also give you an indication of whether or not your marketing campaigns are working, allowing you to change the ones that are ineffective. 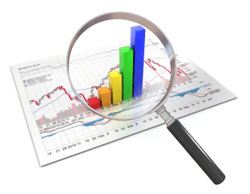 For help with Website analytics, contact WSI OMS today.